Dell 1125 Comp Toner 2K VL - Oklahoma Toner Co. L.L.C. Dell 1125 Compatible High Yield Toner VL (2,000 Yield) (XP407, 310-9319). For Use In: Dell 1125, 1125CN. Also Replaces XP092, TX300 (310-9318) Dell 310-9319 ( TX300 / XP407 ) compatible black toner cartridge is guaranteed to meet or exceed original Dell toner cartridges in both print quality and page yield. Our high-yield toner also replaces low yield toner numbers: 310-9318, UW919, and XP092. Our toner cartridges have been engineered to create consistent, high quality images. 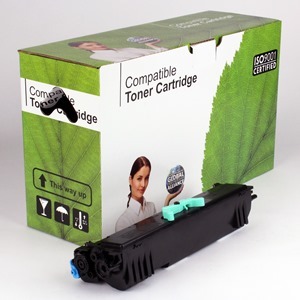 Our Dell 310-9319 compatible toner cartridges are made with the highest quality of new and recycled components in ISO9001 / ISO14001 certified factories.